A day after Prime Minister Narendra Modi reviewed the status of the Goods and Services Tax (GST) roll-out, Cabinet Secretary P.K. Sinha on Tuesday asked different ministries to set up GST Facilitation Cells to assist businesses for a smooth transition to the new indirect tax regime from July 1. "Sinha has asked the Secretaries of the different ministries/departments to set-up a GST Facilitation Cell in their respective department/ministry. 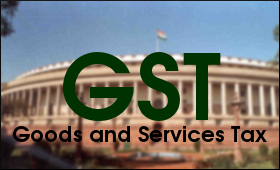 Sinha said that the Cell, in turn, shall be in constant touch with the major industry and business associations relating to the respective ministry/department and provide all possible support for the smooth roll-out of GST from July 1," Finance Ministry said in a statement. "The Cabinet Secretary in a letter to the Secretaries of the different ministries/departments has further mentioned that the GST Facilitation Cell can preferably be managed by a small core team headed by an economic adviser or any other designated officer of the respective ministry/department," the statement said. He said that while the Department of Revenue is making the helplines operational for any individual taxpayer to seek resolution of any legal or IT related issues, the GST Facilitation Cell, on the other hand, could serve as the first point of contact for addressing any issue being faced by any business or industrial sector related to the respective ministry. The Cabinet Secretary further added that this would greatly facilitate the roll-out of GST. In his letter, Sinha has also asked them to ensure that all Public Sector Units (PSUs) under their administrative control are GST-compliant before July 1. He asked the Secretaries to have meetings with all the chairman and managing directors/chairpersons of the PSUs under their charge in order to sensitise them towards GST roll-out. Preferably each PSU may constitute a GST Cell, which, in turn, should be fully equipped with the complete knowledge of all the relevant GST Act/Rules/Rate Structure, he said. "Sinha has further stated that to ensure smooth and successful roll-out of GST, it is essential that all stakeholders, both in the government as well outside, are adequately prepared for the roll-out. Therefore, it is imperative to ensure that all sectors/businesses are GST ready before July 1," it said. Earlier, Revenue Secretary Hasmukh Adhia had also written to the Secretaries of the different ministries/departments that there is an urgent need for all the central government ministries/PSUs to be made aware of the basic features of GST Law and procedures, including implication in their respective areas of work. The Revenue Secretary had stated that the PSUs and other entities who are likely to pay GST need to be GST ready. Adhia had also mentioned that the new scheme of tax administration will have an impact on the work of various ministries/departments including PSUs and other autonomous bodies who are involved in the economic activity in one way or the other, therefore, there is need for a time bound schedule for undertaking GST awareness campaign and training programme for the officials. The Revenue Secretary stated that National Academy of Customs, Excise and Narcotics (NACEN) has been mandated to conduct the GST training for the officers as well as for the representatives of trade and industry.